Commercial and civil litigation and arbitration, involving a full range of constitutional and commercial disputes, including disputes with international elements, banking disputes, professional negligence claims etc. 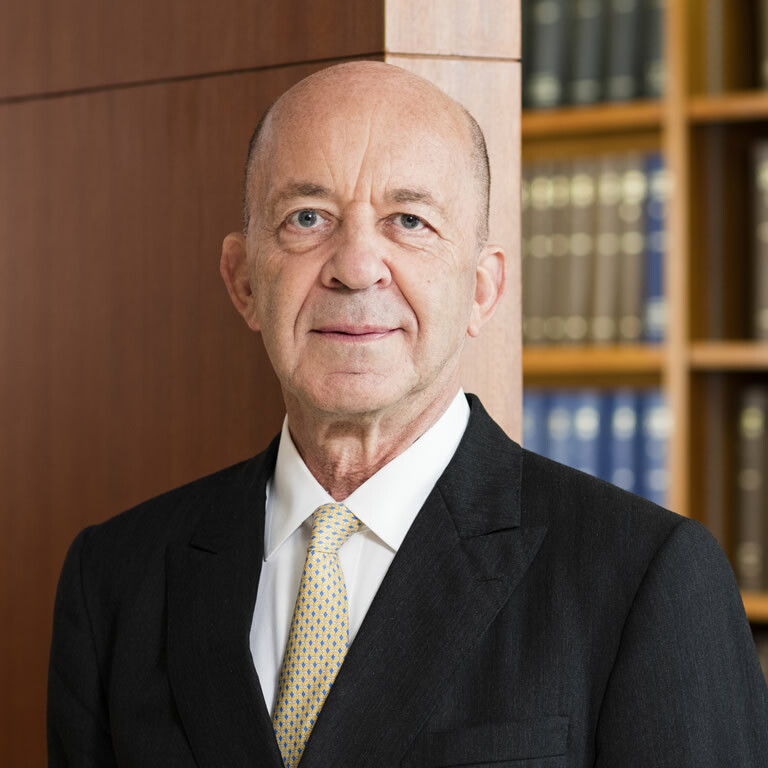 Since taking silk in 1987 he has acted as leading counsel for numerous substantial corporations, banks and financial institutions and for various governments and individuals in England, Hong Kong and elsewhere on a full range of commercial and constitutional matters. He has been instructed in numerous multi-week commercial trials and arbitrations and in innumerable interlocutory applications in commercial matters, both in England and in Hong Kong. Since 2002 he has practised primarily in Hong Kong, being regularly instructed by most of Hong Kong’s major firms of solicitors dealing with commercial work. Mark Strachan’s practice has included a number of civil cases involving commercial fraud both in England (prior to 2002) and in Hong Kong. In consequence, he has frequently dealt with the impact of fraud on commercial actions (Mareva injunctions, limitation periods, etc). Mark Strachan is frequently instructed to conduct cases outside Hong Kong, both in England and elsewhere. Awarded Asialaw’s Lifetime Achievement Award for 2017, being Asialaw’s Asia-Pacific Dispute Resolution award “to honour an individual on the basis of the impactof their work over the course of their career”. Mark Strachan is the only barrister to have received this Award; all other recipients have been appellate judges. In Chambers and Partners Client Guide for each of the years since 2011, Mark Strachan has been placed in the top band of leading silks in Hong Kong. In the 2011 Guide he was described as “an undisputed top silk”. The Guide also said: “His practice has a strong international element and he handles commercial litigation and arbitration as well as appellate and personal injury matters. Sources say “he is a very diligent advocate who has a drive to win””. In the 2013 Guide he was said to be a “superb advocate and a bright and extremely capable practitioner”. In the 2015 Guide it was said that he “most frequently acts for major companies on commercial and civil litigation, and is also well known for his work in arbitration. Peers respect that “he has a formidable commercial practice””. In the 2016 Guide, it was said that one source notes: “He is extremely experienced, very meticulous, the level of service you get is incredible and he brings gravitas and asense of real importance to any argument he makes.”. In the most recent edition of the Guide it is said that he is a “very effective advocate with real gravitas who is very trusted by the courts” across a broad range of commercial and civil issues and is described by one interviewee as “the most meticulous counsel I have ever worked with”.